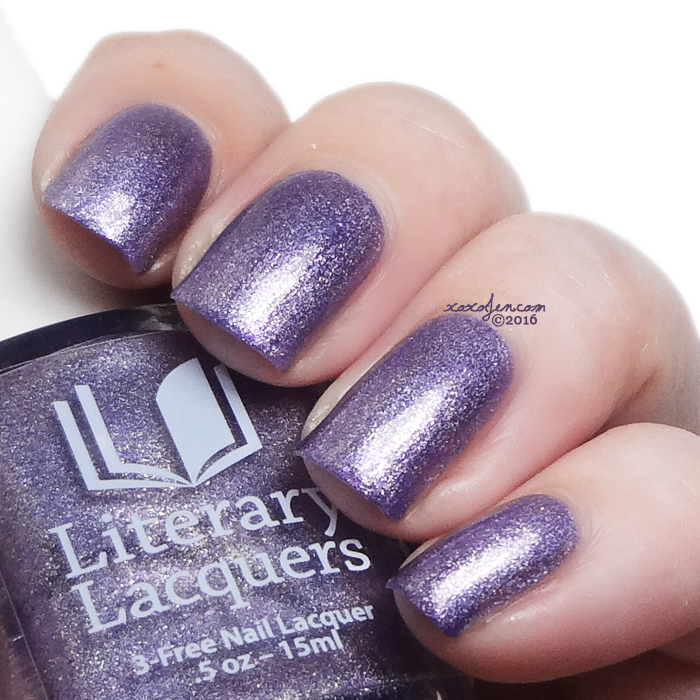 This Literary Lovers duo, Lestat and Louis, was designed with Nichole Costa of Bedlam Beauty after she and Amy geeked out over both having cruised by Anne Rice’s house in the Garden District in New Orleans. 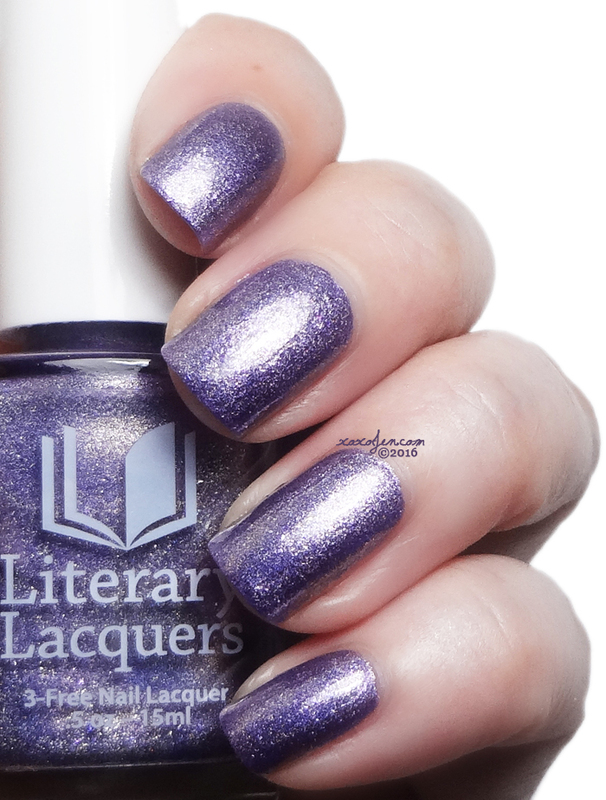 Lestat: A saturated lilac metallic linear holo. Icy and cool as the vampire himself. I wore two coats with topcoat. It's super metallic/chromey looking. I love it! 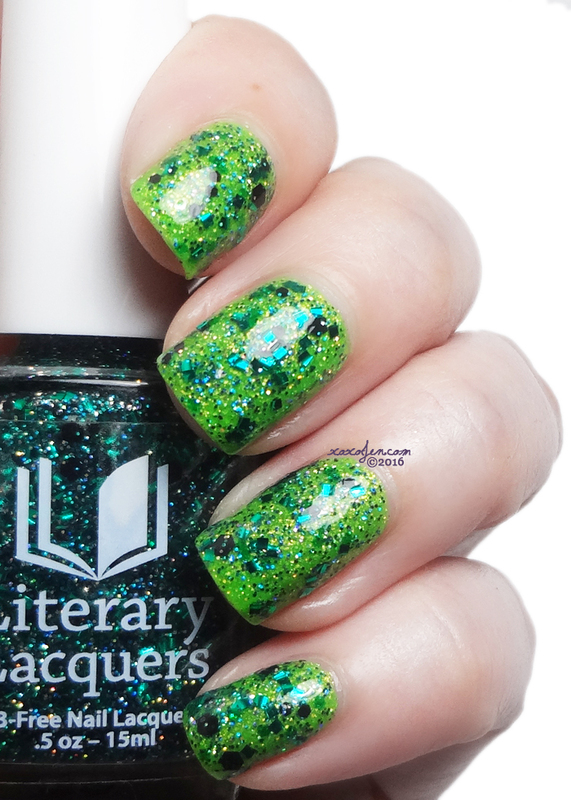 Louis: Black and green glitter topper. Black hair, green eyes, the vampire with a guilty conscience. I wore one coat over Long May She Reign. 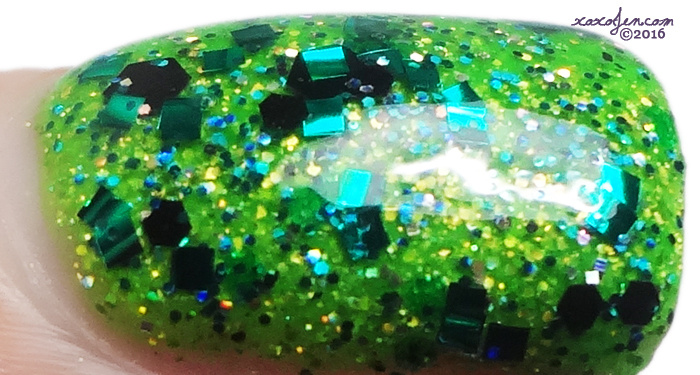 No digging or fussy application, what you see on the nail in the photos is exactly how it landed when painting in a regular way. 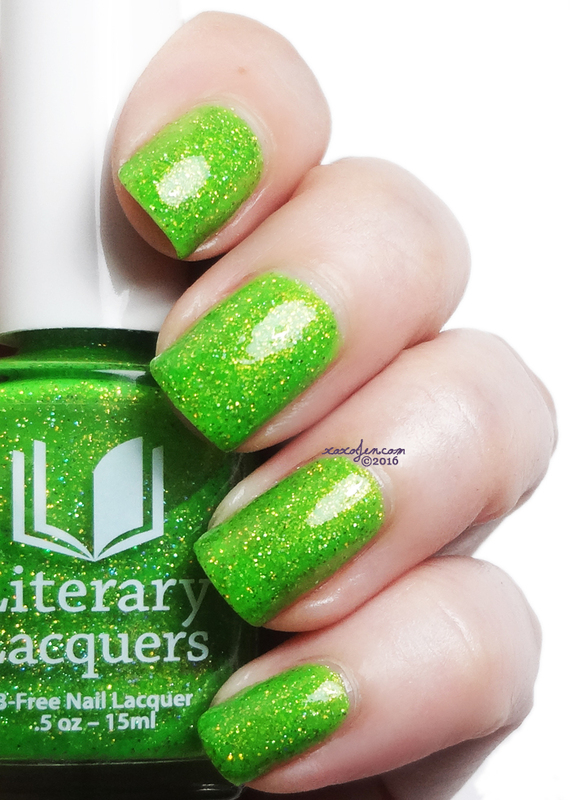 Long May She Reign was inspired by Cate Cropp's obsessive love for green nail polish and her ability to keep tempting Amy with screencaps of wildfire explosions from Game of Thrones. 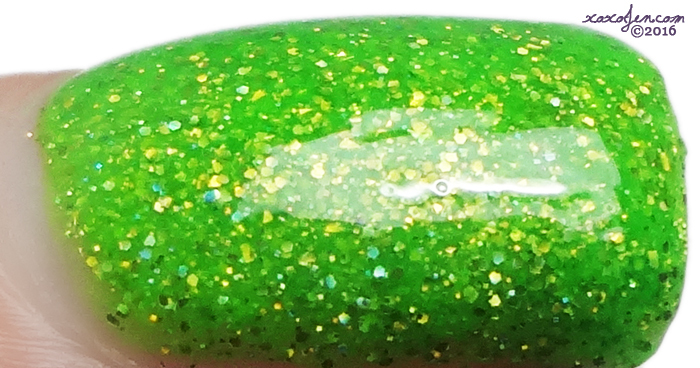 Amy finally gave in and made this polish. It’s named for events that do not yet occur in the world of the books. 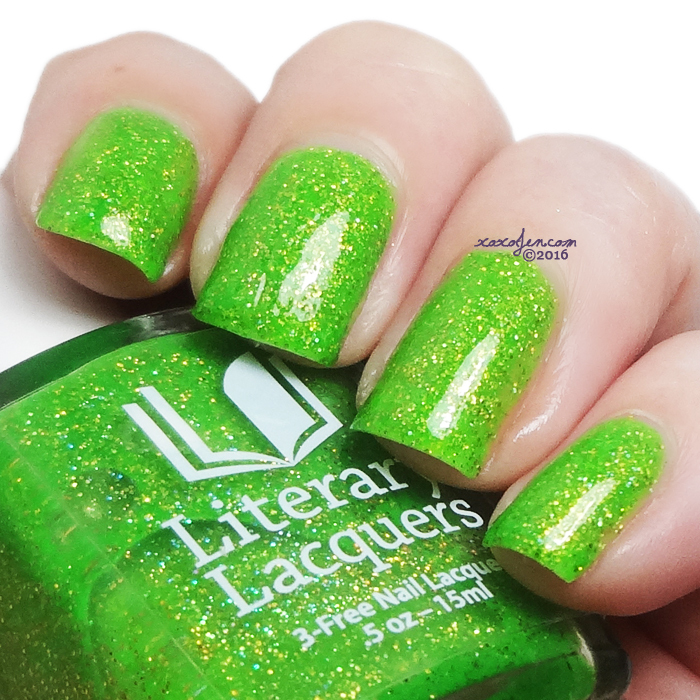 Long May She Reign: Screaming chartreuse microglitter crelly. Inspired by Cersei's revenge. I wore two coats with topcoat. 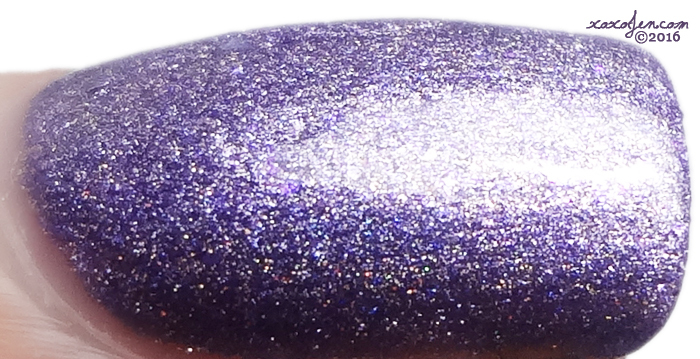 It's super vibrant and sparkly and dries quite smooth for a microglitter polish. The formulas on all of these was fantastically smooth and easy to apply. 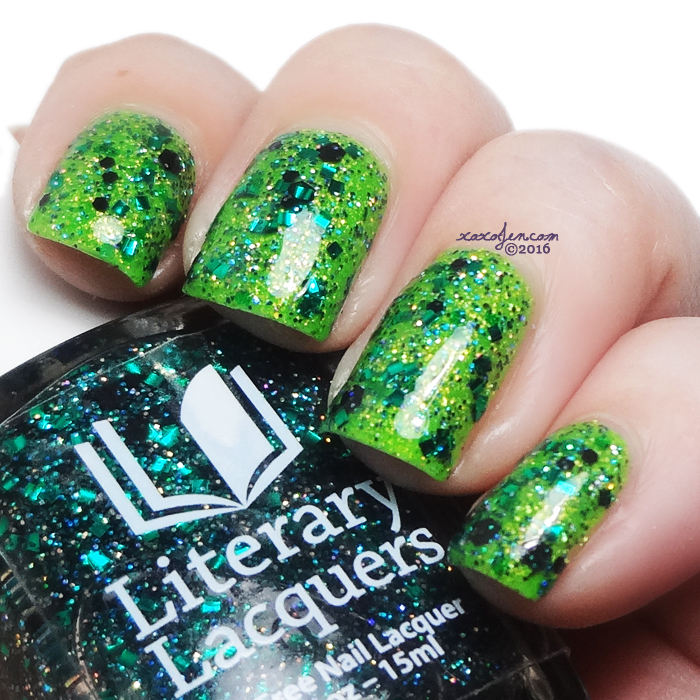 You can get these starting July 25th at the Literary Lacquers shop. All three of them look great. Does Long May She Reign stain your nails? I actually didn't wear it long enough to know. In my experience though, none of Amy's polishes stain. Louis looks so gorgeous. Fun swatches!